We understand that your pet has become a member of the family. Pet insurance can provide you with the peace of mind knowing that you are prepared to give them the best health care possible. Pet insurance in South Dakota provides affordable and flexible plans to fit your pet’s needs and your budget. 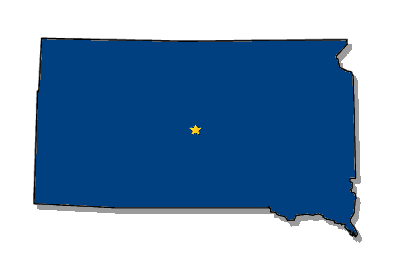 Our goal is to provide you with the area-specific health risks and concerns to dogs and cats in South Dakota. Understanding these health risks can help you make an informed decision about the right pet insurance plan for you and your pet. It is important for pet owners to know that dogs in South Dakota are more commonly diagnosed with the Parvovirus compared to other states. Parvo is a serious, highly contagious virus which can be life-threatening. Parvo can be treated if caught early and is preventable with routine vaccines. Dogs in South Dakota are more commonly diagnosed with heart disease and kidney disease compared to the national average. South Dakota has the highest prevalence of ear mites in cats than any other state. Ear mites are highly contagious and are often passed from pet to pet in casual contact at home or outside. Ear mites in cats cause irritation and inflammation and can infect the external and internal canal, potentially leading to more serious skin or ear infections if left untreated. Pet insurance can help protect your dog or cat from accidents and illnesses like the conditions noted above and provide you with the peace of mind in knowing that you are prepared to provide them with the health care they need. South Dakota pet insurance plans are flexible, designed to meet you and your pet’s individual needs and will typically cover costs associated with accidents and illnesses.